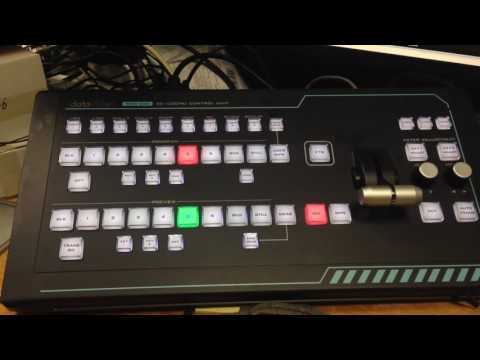 Blackmagic Forum • View topic - Interesting - datavideo meets ATEM?!? Interesting - datavideo meets ATEM?!? Re: Interesting - datavideo meets ATEM?!? Very interested in this. $500 controller would be great for the ATEM. Don't forget: plus 450,- for the "translator" microcontroller. but a console for less than 1000,- $/€ is a really good price. The Xkeys panel, in my opinion, is more flexible than mapping the functions of the 1200MU to the ATEM, as the labeling will be "off", but the back-lamps on the datavideo are definitely superior. I'm personally against the analogue rotatory knobs as I think generally speaking they cause more problems operationally than they solve. That being said, for JM users, this panel is now on my todo list.